AnyTrans® for Cloud – One free account gets you into all your cloud drives. Save all your work and move everything you want from cloud to cloud directly in a simple click. Or, you can set a schedule in advance and let the migration or backup go automatically at your preferred time and frequency. 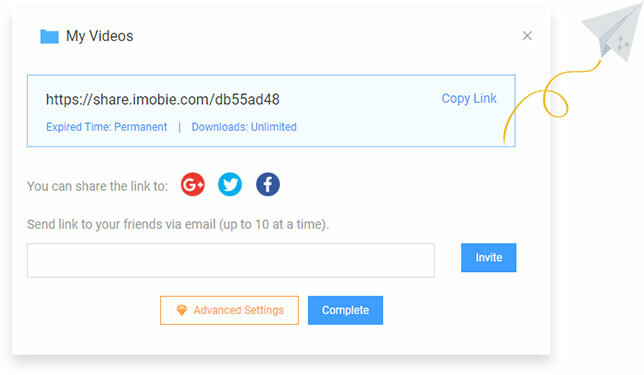 Share any cloud file or folder with your family, friends, coworkers, or anyone in a way you like – via email, Facebook, Twitter, Google+, or a shared link. 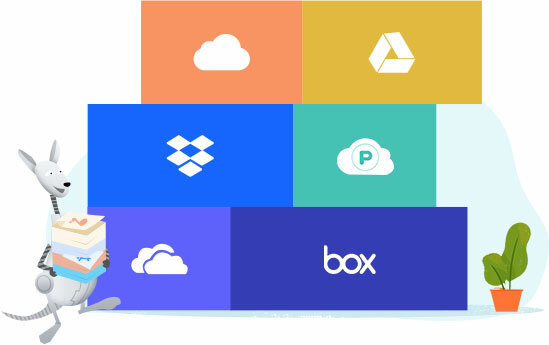 Everything you share is always stored in your cloud storage. We never save any file on any of our servers. 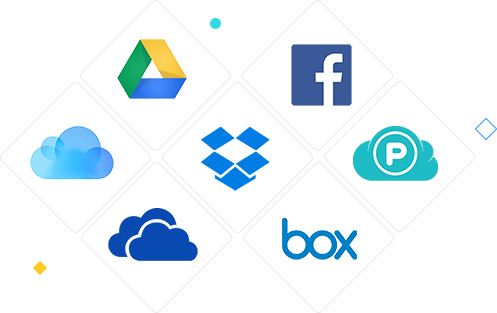 AnyTrans integrates with Dropbox, Google Drive, iCloud Drive, OneDrive, Box, pCloud – and more to come. Now you can access and manage multiple cloud drives, as well as multiple accounts of the same service, right from one place. Don’t have to open piles of webpages and apps. Don’t have to sign in and out different accounts. "AnyTrans will keep the transfer going, all inside the cloud. With no bandwidth limitations, you can free up space on your cloud drives easily and quickly. AnyTrans works on Mac, PC or through the WebApp so you can use it on any of your devices." "I found AnyTrans for Cloud to be a very helpful tool. It simplifies cloud management and data storage. Easy sharing of content and the other operations on cloud content like deleting, renaming, moving etc. makes it a great software, not to forget the cloud to cloud transfer feature." "AnyTrans is truly a great app that brings all cloud services to one manageable place where moving files any which way is made easy and is very fast. Its safe, secure and cross-platform nature make AnyTrans a must-have for those who want to be in control of their cloud world." "Новый продукт разработчиков — AnyTrans for Cloud, позволяет не только собрать все облачные хранилища в одном месте, но и также в один клик перемещать файлы между ними, и вообще взаимодействовать с сервисами так, как в «родных» приложениях." "With AnyTrans For Cloud you can manage all your cloud drives in one place, allowing you to manage your data stored on different accounts with ease. You can also manage multiple accounts from same cloud service at one place." "What makes AnyTrans for Cloud even better is that it doesn’t treat your cloud storages as separate islands that just won’t work together. It lets you transfer files seamlessly from one service to another." "An important part of the service that AnyTrans for Cloud offers is whether you are accessing, storing, downloading, uploading or sharing data from the software, everything remains private and only accessible to you." "AnyTrans for Cloud is a convenient tool for bulk transfer of files between different cloud platforms, and it definitely saves you a lot of time and effort." 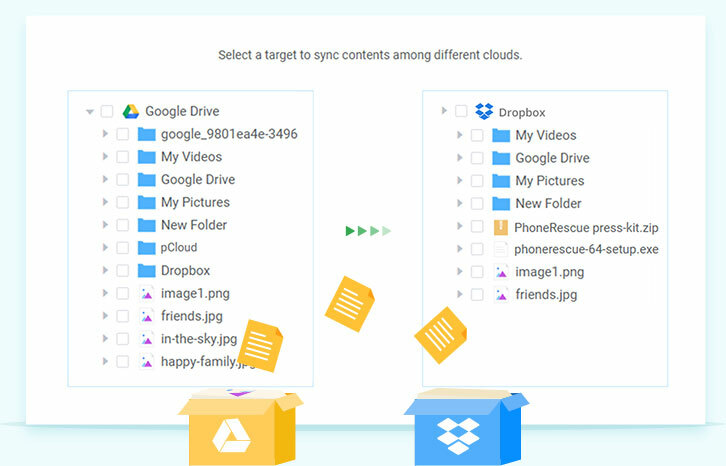 "AnyTrans for Cloud is an all-in-one cloud manager that helps transfer, manage, and share your cloud files across multiple clouds, including Dropbox, iCloud, Google Drive, Box, and much more ." Sign up to get AnyTrans for Cloud free. You’ll have full access to premium features for 30 days.